At 22 years of age, Mark Rolton, a builder by trade, was young and broke. To be precise, over $430,000 in the red plus had credit card debt up to the eyeballs. But then he discovered how to do this one particular kind of deal: Property Options. When he first tried it, he made $42k in a little over a day and a half!So he started looking for other deals, and within a short time, he had completed $1 million in earnings in just over 30 days! And he did all that with no deposit, no bank loan, and no stamp duty. In fact, he never even settled the property! That one deal turned his life around. It paid his debt, and above all, it allowed him to start living in a new direction. Mark has since dedicated his professional life to property, and is often referred too as the number one authority in Australia on Property Options. Due to this recognition, Mark developed an education arm that now teaches others how to generate wealth through property. 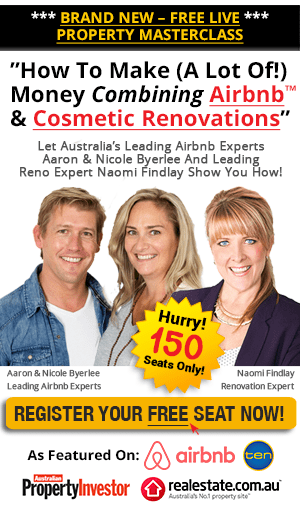 As a charismatic speaker, Mark Rolton delivers his wide knowledge on property in easy to understand concepts, that can be understood by both novices and sophisticated investors alike.